The annual SEMA show in Las Vegas has become a de facto auto show, with nearly every major automaker having some sort of presence at the annual aftermarket extravaganza. Ford in particular tries to make a big splash at SEMA every year, but this time the focus is squarely on the Focus (pun intended). The Mustang and F-150 are Ford’s traditional SEMA darlings, and the Blue Oval has turned many of them into flashy show cars over the years. 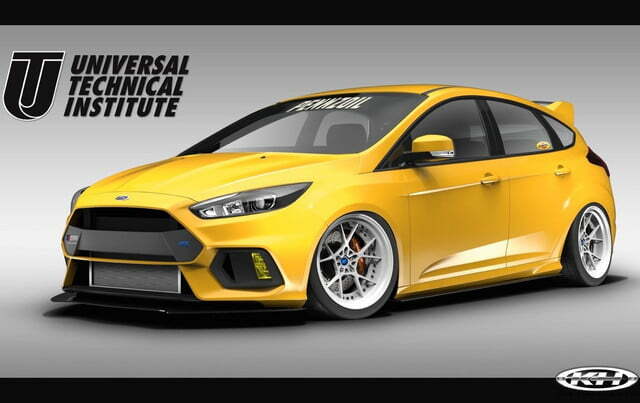 For SEMA 2017, though, Ford will bring four customized Focus hatchbacks. 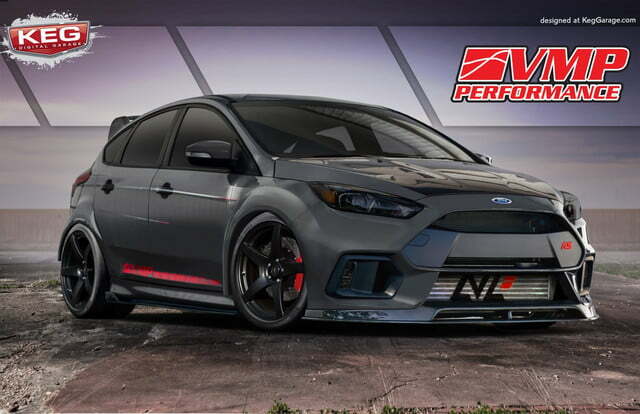 The Focus was named “Hottest Hatch” at SEMA last year, and Ford seems to want to capitalize on that popularity. Perhaps not surprisingly, Ford used the Focus RS and ST performance models as the basis for the four show cars. The ST may be less aggressive than the RS out of the box, but builder Blood Type Racing went all out in its ST show car. 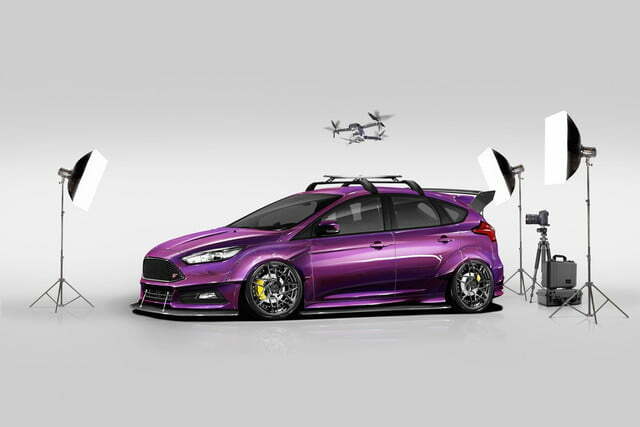 The purple hatchback is equipped with the expected tuner fare, including an upgraded turbocharger, performance exhaust system, and wide-body kit. But it also sports a drone landing pad because … why not? The three Focus RS-based 2017 SEMA show cars would make perfect extras in a Fast and Furious movie. The yellow car (built by Universal Technical Institute, Tjin Edition, and Pennzoil) features a performance exhaust, short shift kit, upgraded intercooler, Rotiform 19-inch wheels, and modified suspension and brakes. The stealthy-looking gray “Triathlete” from VMP Performance sports, among other things, a dual port blow-off valve that helps vent excess air from the intake, reducing turbo lag and creating a distinctive whooshing sound that’s bound to annoy every other motorist on the road. Last but not least, the Focus RS “Rally Revival” (built by Rally Innovations) mimics the look of the rally cars that inspired Ford to build the RS in the first place. The grille-mounted lights look pretty sweet, and Ford says this car’s upgraded suspension improves both ride quality and performance. Ford did build a full-on rally version of the Focus RS, which was raced by Ken Block’s Hoonigan Racing team in the FIA World Rallycross Championship until Ford and Block decided to pull the plug. Cars like these can show owners the modification potential of their cars, and possibly inspire future builds. The ability to customize a car is one thing that sets car ownership apart from the countless other consumer products we buy.